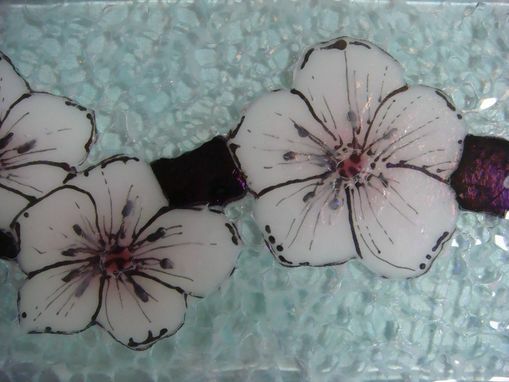 Within 3 layers of fusing glass rest a blossoming cherry branch. The aqua blue background has been formed using varying sized pieces surrounded by opaque line channels. There is a clear iridescent sheen over the entire surface. The plate's form is a small channel with dimensions of 12" wide X 3 3/4" high X 1" deep.